A 2003 Reuters report serves as a stunning case study for how media outlets regurgitate US government propaganda. 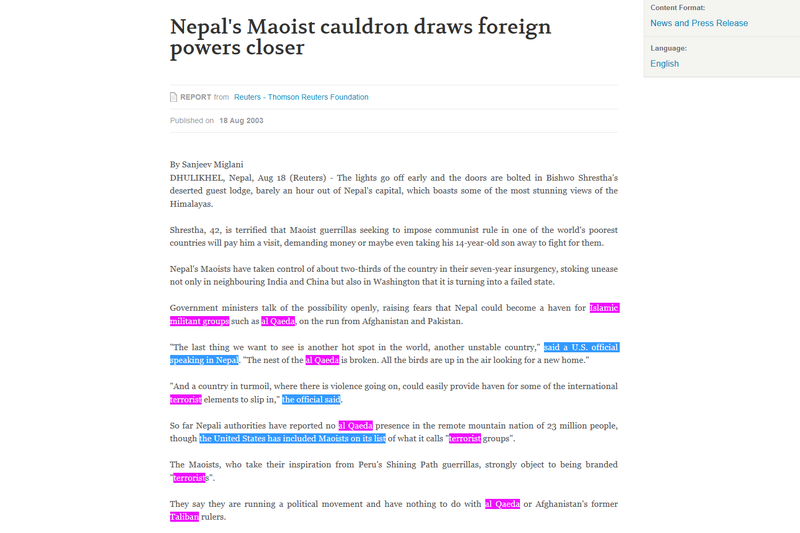 “Nepal’s Maoist cauldron draws foreign powers closer” is about the revolutionary communist armed struggle in Nepal, which successfully overthrew a repressive, reactionary, theocratic monarchy (that was of course backed by the US, UK, and India). The piece is, predictably, overtly anti-communist from the beginning. But what is even more hilarious is how the article absurdly spends the opening passage rambling on about al-Qaeda and the Taliban. Six paragraphs of the introductory nine-graf subsection are about al-Qaeda and the Taliban, which had nothing whatsoever to do with the Nepali communists. This opening section also includes quotes from an anonymous “U.S. official speaking in Nepal,” who is the one to ludicrously bring up al-Qaeda. This was perhaps unsurprising, given that 2003 was in the early years of the so-called “War on Terror.” But this is still a whole new level of propaganda. It is like the ridiculous US government attempt to falsely link Saddam Hussein to al-Qaeda — but on steroids. 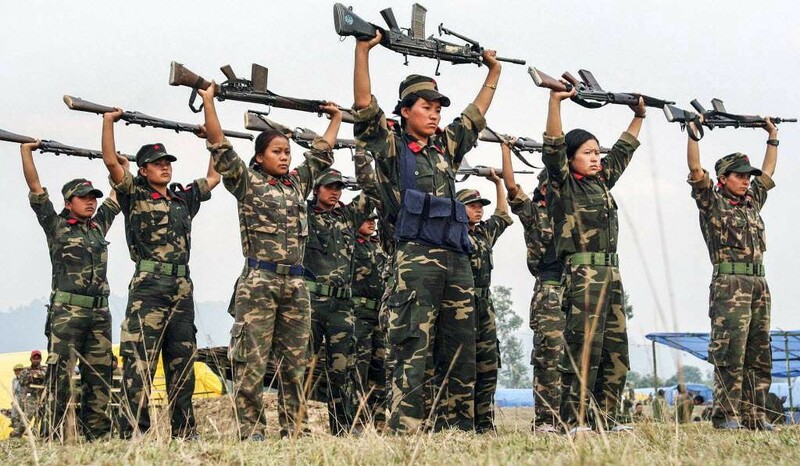 The irony is the Nepali Maoists were progressive secularists overthrowing a theocratic (Hindu) regime, but Western media outlets attempted to conflate these left-wing revolutionaries with far-right ultra-religious Salafi extremists. This Reuters article also quotes an anonymous “Western diplomat” and the US embassy spokeswoman. Reuters, an international news agency, is essentially acting as a US government mouthpiece. Rather than informing the public by reporting independently on international affairs, it is relaying to the public precisely what government officials want us to hear. Originally published at bennorton.com on July 31, 2018.